Many indivi­duals in Pakist­an foil terror­ist activi­ties, only to suffer later due to govern­ment’s neglig­ence. ISLAMABAD: He caught a terrorist red-handed planting a time bomb in a Rawalpindi mosque and thus saved a Friday congregation from deaths and injuries. The terrorists punished him for his act of bravery by kidnapping his two sons one of whom was killed and the other released on payment of ransom. This man of rare courage today has no money for the treatment of a son who has blood cancer. In fact he has no money to provide even two meals a day to his family. He drives a cab now. He is Shamsul Anwar. Every year, many individuals in Pakistan foil terrorist activities, only to suffer later due to government’s negligence in providing them protection. The terrorists have not forgiven him and continue to threaten him but government is apathetic and refuses to help him in any way. He fears for the safety of his daughters. He had started his construction business in Rawalpindi and was leading a happy and peaceful life with his eight children and wife after leaving the army. The mosque incident happened on January 3, 2001 in the main mosque of Dhok Gujaran, Rawalpindi. 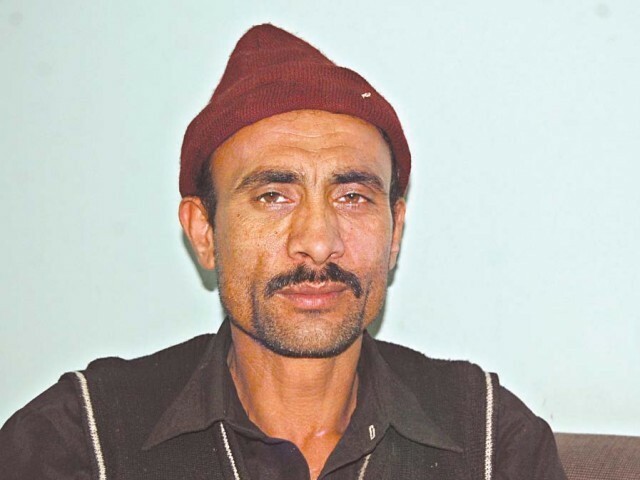 In the bargain he lost his 13-year-old son Yaseen and became a pauper after paying Rs1.4 million in ransom for the release of his other kidnapped son Faizullah. The terrorists had killed Yasin and made the other son, Faizullah, watch, which made him a nervous wreck. Later they injected him with something poisonous, which damaged his kidneys. This was probably the cause of his blood cancer, Anwar says. “I made a number of appeals to the prime minister for financial support for the treatment of my son but was told that my file had been closed as they had already given me enough money,” he added. He said he had only been given Rs100,000 while he needed Rs500,000 for the treatment of his son, which requires blood transfusions. The money was given when Shaukat Aziz was the premier. The Baitul Mal had given him another Rs25000 in this connection. His request for more money for the bone marrow transplant was bluntly refused. “Your son is not the only one in the country who is suffering from cancer,” was the response from the PM House. Meanwhile the terrorist gang, finding him helpless, is threatening him again and are now after his two daughters. On December 28 when he went to the Westridge Police Station to lodge the report against the terrorists he was taunted by the police for catching the bomber. “You are a brave man. Now suffer,” they told him. He said he would hold the government responsible if anything happened to his daughters. He appealed to the government to provide him with protection and a job to support his family. Published in The Express Tribune, December 31st, 2010. Army chief addresses officers, elaborates on domestic and regional security issues confronting the country. Police claim to have recovered tons of explosives, suicide jackets and other weapons during raids. Sad, we can spend millions of dollars on investigation reports & security measures for politicians but cannot help a true hero. This is really sad – someone who risked his own life to save so many others is being treated in such a shameful way. I am sure that Shamsul Anwar’s case is only one of many similar cases across the country. The Express Tribune could perhaps establish some kind of fund which is transparent and run by an honest trustee to help such heroes and other deserving individuals. I am sure there would be many willing to donate to this fund. Can someone please get us the contact details for this man? We’d like to launch a fund-raising campaign for him here in EU, through APPEC. But we do need to first varify the on-ground status of his troubles directly from him. APPEC = Association of Pakistanis for Promotion of Education and Cooperation. Please inform how to help him as well. You can take my email address from Express tribune forum.